Rachael Sage is a singer/songwriter, poet and visual artist who Blurt Magazine describes as “The Carole King of her generation”. She is currently on tour promoting her 14th full-length release, PseudoMyopia. A companion acoustic album to her critically acclaimed album Myopia, PseudoMyopia is a collection of 11 songs focusing on the concept of vision – including narrow mindedness – in all its many manifestations. Legally blind without corrective lenses, Sage balances the political and the personal with striking depth and perspective that only comes with experience. A multi-instrumentalist herself, Sage enlisted a diverse cast of guest musicians to a striking intimacy to these very timely tracks, including guitarist Ben Butler (Sting), bassist Richard Hammond (Joan Osborne), cellist Ward Williams (Sara Bareilles) and Grammy® nominated musician Seth Glier. 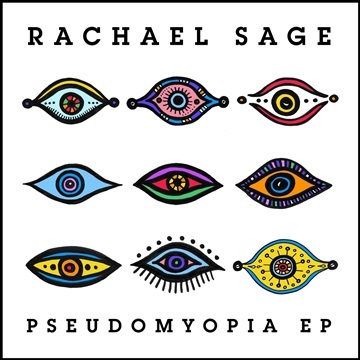 Rachael has teamed up with NoiseTrade to bring you an exclusive EP of selections from PseudoMyopia!